To and From the Airport.com - South Carolina. Approximate Cost: To Charleston City Center $25-29/20-30 mins, James island $30-44, Amtrak train station $9, Northwoods Mall $15, Johns island $31-65, Goose Creek $24, Summerville $41 & Moncks Corner $57. Taxi Companies: Absolute Charleston Airport Taxi/Shuttle, (843) 814 7315, provides taxi and shuttle service to and from the airport and the surrounding area. Yahweh Chartered Limo & Taxi Service, (843) 889 2666, offers shuttles from the airport to downtown, with transportation buses, shuttle taxi services, and luxurious limousines for any occasion also available. By Shuttle Van: A shuttle runs to locations in Downtown Charleston for $12 per passenger, and departs about every 15 mins. It is a shared ride and may make several stops en-route, depending on the number of passengers. By Bus: CARTA runs buses all over Charleston, but does not serve the airport itself. Buses #15 & 17 pass 1 mile to the S of the airport terminal, while bus#10 runs up the Eastern perimeter past the general aviation center. All buses $1. On-Airport Rental Car Providers: AVIS (843) 767 7031, Budget (843) 767 7051, Dollar (843) 767 1130, Enterprise 767 1109, HERTZ 767 4550, National 767 3078 & Thrifty 552 1400. 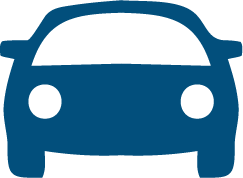 Car Parking: Daily Parking: Surface Parking: 30 mins free, each extra 30 mins $1. Daily max per 24 hrs $8. Lost ticket fee $8. Deck Parking: 30 mins free, each extra 30 mins $1. Daily max per 24 hrs $12. Lost ticket fee $12. Airport Tel No: +1 (843) 767 7009. Location: 9 km/6 miles SW of the City. By Taxi: To the City $15-20. AAA Airport Shuttle Service (803) 796-3626, AAA Taxi Service 791 7282, Ard’s Lexington Cab 791-5767, Blue Ribbon Cab 754 8163, Checker-Yellow Cab Co 799-3311, Classic Taxi Cab Company 348-0662, Earth Shuttle Service 714-0080, Shuttleways 783 0265, Gamecock Cab 796 7700 & Lexington Cab Co 356 1066. By Bus: Bus Route Info (803) 217-9019, 217-9362. By Shuttle Van: Several local hotels provide shuttle buses to/from the airport. Phones to call them are in arrivals. On-Airport Rental Car Providers: ALAMO (803) 822 5180, AVIS 822 5100, Budget 796 5915, HERTZ 822 8341 & Thrifty 822 2300. Airport Tel No: (803) 822 5000 & 1 888 562 5002. Location: 18 km/11 Miles N of Darlington, SC, 19 km/12 Miles NE of Hartsville, SC, 117 km/73 Miles ENE of Columbia, SC. Rental Cars: AVIS, ALAMO (843) 662 9077, Budget, HERTZ & National. Location: 18 km/11 Miles ENE of Greenville, 27 km/17 Miles WSW of Spartanburg & 6 km/4 Miles S of Greer. ETS Airport Express Contact: Tel (864) 877 6666. On-Airport Rental Car Providers: ALAMO/National (864) 877 6447, AVIS 877 0456, Budget 879 2134, HERTZ 879 0181 & Thrifty 877 7799. Car Parking: Short Term: $1 per 30 mins, daily max $12, weekly max $84. Long Term: $1 per hour, daily max $6-9, weekly max $42-63. Location: At the NE corner of Hilton Head Island, a few miles from the beaches. By Taxi: Fare to town ~$15-30 depending on location/15 mins. Island Taxi (843) 683 6363, Ferguson Transportation (843) 842 8088, Low Country Adventures-Grayline (843) 681 8212, Low Country Taxi (843) 681 8294, Palmetto Taxi (843) 683 7348/4279, S & J Expressway (843) 686 3333 & Yellow Cab (843) 686 6666. By Shuttle Van: Low Country Adventures/Grayline runs shuttles between Hilton Head Airport and Savannah Intl Airport. $30 one-way, $49 round trip. Tel (843) 681 8212. On-Airport Rental Car Providers: AVIS (843) 681 4216, ALAMO 689 9845, Budget 689 4040, HERTZ 681 7604, Enterprise 689 9910, National 681 7368 & Thrifty 689 9990. Location: 5 km/3 Miles WSW of Myrtle Beach, 10 km/6 miles NE of Surfside Beach. By Taxi: Anchor Taxi 843 444 0101. On-Airport Rental Car Providers: ACE-Rent a Car, AVIS, ALAMO (843) 626 8166, Budget 445 2716, Enterprise 916 0929, HERTZ 448 3191, National 626 3687, PAYLESS 448 3737, Thrifty 626 2277 & Sears. Airport Tel No: (843) 448 1589.